While this podcast does not have a central theme, there is a lot of great music here. The set starts off with some great women jazz artists. Regina Carter's rhythmic African beats and soaring violin begins the program. 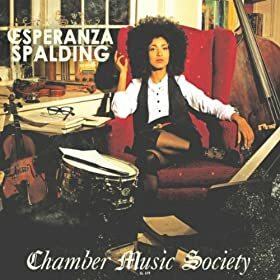 That is followed by Esperanza Spalding's unique arrangement fusing jazz and classical music in a unique and beautiful way. Christine Jensen finishes the set with a swinging hard bop quartet and a smokin' sax solo. 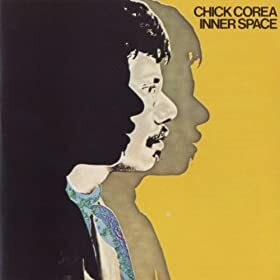 The gem of the program is up next with an early Chick Corea album Inner Space. Dig solos by Joe Farrell, Woody Shaw and Chick in this fine ensemble. I also feature some great sax players currently active in the New York City scene, Mike DiRubbo, JD Allen, Albert Rivera and Stacy Dillard. Other horn players like Brad and Elliot Mason (Trumpet, Trombone) have a new CD that deserve your attention. Se'Lah ~ JD Allen ~ Shine! This show definitely runs the gamut through many styles of jazz. Whether its rocking out with Return to Forever and Frank Zappa, vocalizing with Esperanza and Elling, or straight ahead swinging with Joe Lovano Steve Davis and Mike Dirubbo... its all jazz and its all good. By the way, congratulations to Esperanza Spalding for her Grammy award in the best new artist award. See my review of her latest album Chamber Music Society. Its great to see the Academy give jazz some respect. A Valentine of jazz is the theme for this podcast. These songs were inspired by the most glorious and intense emotion of love. Love has been the subject and inspiration of so much music and art of all kinds, and jazz is no exception. 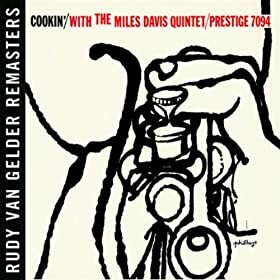 We hear in this show some of the most revered works of this genre's giants like Miles and Coltrane, and some lesser known artists as Cyrus Chestnut, Kent Hewitt, and Steve Kuhn. I hope this podcast can be a soundtrack for your Valentines day. This weeks show featured some hot sax playing by jazz artists, new and old. 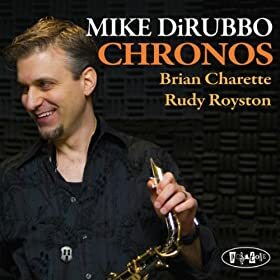 Our featured artist is Mike DiRubbo, an alto player with roots in the Connecticut area, but now an accomplished player in the NYC scene. Chronos, his seventh album, is an organ trio sound that rocks, grooves and swings as you will hear in this show. I highly recommend this CD. That one is followed by the great Art Pepper in his Village Vanguard performance a few years before passing featuring a quartet that included Elvin Jones. Stacy Dillard is a young tenor sax player with his first CD recorded live at Smalls Jazz Club. We finish with a Joe Lovano find of one of his first CD's as a leader with a great quintet. We hear Joe in a gorgeous piano duet followed by the full quintet. Hope you dig.